Patient Information: This is a 30 year old male who was concerned with his under projected chin. 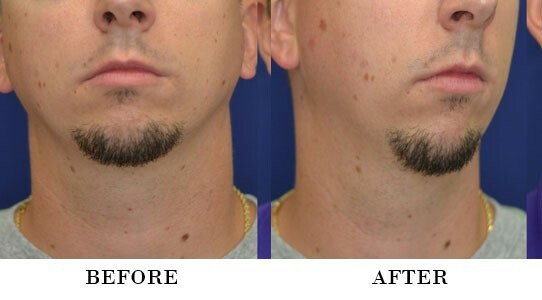 After having consulted with Dr. Fadi Nukta, he decided to have a chin augmentation procedure by placing an implant to increase the projection of his chin. An incision was created underneath the chin and the largest implant option was used. His chin is now more pronounced.